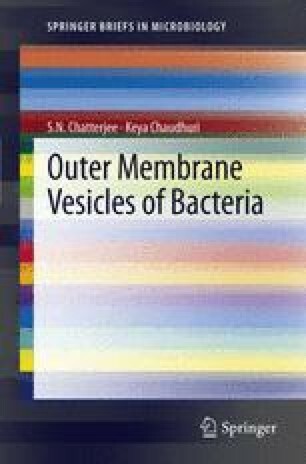 During their formation the outer membrane vesicles (OMVs) entrap, utilizing some special sorting mechanism, different materials from the periplasm and/or the outer membrane of the bacterial cell for purposes favoring the parent bacteria and against the survival of other competing organisms either in vitro or in vivo. These entrapped materials include different virulence factors, toxins and nontoxins, and other materials such as antibiotics and DNA that can either kill the competing organisms or change them genetically. The functions of these entrapped materials and the modes of their entrapment including the formation of engineered recombinant OMVs are briefly discussed.